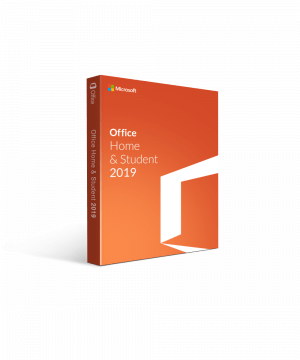 Why Buy Microsoft Office 2019 Home and Student? One simple download on one computer allows you access to the four classic applications from Microsoft. Back up download is supported in case you have a tech emergency or last minute pc crash. Adds convenience to your schoolwork, giving you more time to enjoy yourself. Upgraded features focus on efficiency and intuitive layout. Easily allows you to share your content, making it easier to hand work in or share with classmates you're collaborating with. One time purchase, which saves you money. No monthly subscription fee means you have less to keep track of. Work with your classmates, without being face to face. Work at your own pace, or simultaneously. Share notes and brainstorm by sharing through OneNote, and make coordination for team projects easy and efficient. Wow your class with a PowerPoint presentation that includes updated templates, themes, transitions, and animations. 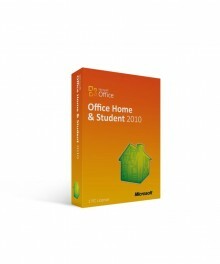 Being a student is a tough time for many people, so Microsoft wants to make it easier for you. 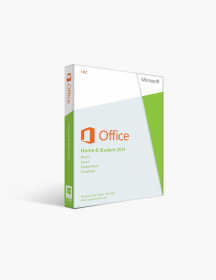 With Office 2019 Home Student, you’ll be able to access all of the classic applications that will help you succeed in school and achieve your goals. The upgraded features are designed to help you get through your school assignments faster, easier, and end up with a more polished end product. 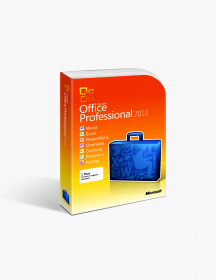 With one simple download, you’ll have access to the four classic applications, including Excel, PowerPoint, Word and OneNote. These applications are easy to use, and also add convenience to your schoolwork as well. Team members can comment and make changes without affecting the final project. Each individual contribution is easily tracked with clear labeling and color coordinated comment tags. The upgraded applications include many shared themes and templates. For teams working on big projects that use multiple Microsoft applications, this means you can create a cohesive project theme. The days of saving presentations onto a flash drive are over, thanks to OneDrive. OneDrive allows you to save content on your account and access it from anywhere! It is safely stored on the cloud, and will be backed up. You get the peace of mind of knowing that your important files are safe, even if your hardware fails you. Any student that's had to pull an all nighter because a paper was erased knows how valuable this backup is. Use the OneDrive access to work on your assignments anywhere from your favorite café to public transport. You can even access your documents from mobile devices if you need to. Beyond that, you can use it to share and coordinate with classmates to maximize your efficiency. Word is a great application for you to write papers; with its features, including spell check, search feature, and different page layouts, it allows you to create the perfect paper, everytime. Word 2019 now supports inking functionality, so if you're a better pen and paper writer, you can still create the way you prefer. Added to the accessibility features is a text to speech function, to make sure all students get the most out of their software. Excel allows you to track anything you need to, you’ll no longer have to add information together, Excel will automatically do it for you. If you're assigned complicated data projects, this is about to become your right hand program. The new 2D mapping and tunnel graphs help you translate data into more understandable visual representations. New functions, built in equations, and shortcuts help you cut down on tedious manual entry. While excel is often required in many classes, so much data can be overwhelming. That's why excel has a cleaner, more intuitive interface that helps you work methodically. OneNote is the best notepad you can ever have! You can easily write down any notes, lists, or ideas and have them kept safe. Students know that keeping track of notes and assignments can be one of the hardest parts of getting through school. OneNote allows you to create near endless notebooks for anything you need to keep organized. Color tabs allow you to find what notebooks you need to pull up at a glance. What's even better, you can share single pages or entire notebooks with your team members. Use it for class notes, group projects, keeping research together, or organizing social events. You can use touch screen functionality and inking technology to get your information down quickly. 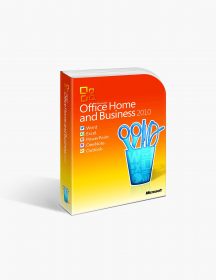 PowerPoint is your best friend when it comes to creating presentations and slideshows. It has a very user friendly interface and is simple to use. The new PowerPoint includes upgraded design features and new animation options like morph and zoom. When you've got a big presentation on the line, you want it to look sleek and seamless no matter what screen you're presenting on. That's why Powerpoint includes new widescreen templates to optimize your presentations. $109.00 | In Stock Want it Now? Order and receive your download instantly.